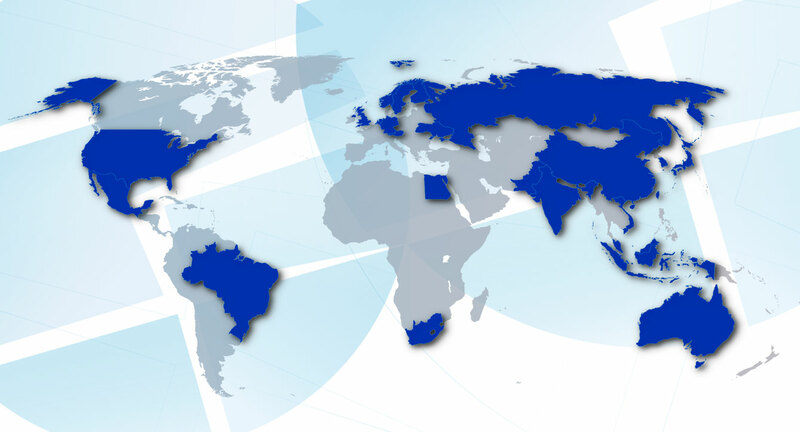 Through its worldwide network of staff, collaborators, and alumni, IIASA research has helped shape policy at national, regional, and global scales. Oil and shale gas production emits much higher levels of non-CO2 greenhouse gases than previously thought, new IIASA research demonstrated, highlighting that methane emissions are a particular problem. Population characteristics are key factors influencing future climate change and people’s ability to adapt, IIASA research has shown. Education, for instance, can lead to more environmentally friendly consumption as well as making people less vulnerable to natural disasters. Air pollution is a major problem and IIASA is in partnership with initiatives set up by the World Health Organization, the World Bank, and the UN Environment Program to tackle this pressing issue. The Paris climate summit in 2015 was hailed as a historic turning point and IIASA made crucial contributions to the process; providing the only study to have explicitly investigated actions needed to achieve a 1.5°C limit. IIASA hosted the Workshop on Developing the Arctic Futures Initiative in 2015, starting a dialogue between all stakeholders and leading to a decision-relevant research agenda for the initiative. Investigating air pollution that affects the Arctic in winter and spring, IIASA researchers found that gas flaring contributes 42% of the soot found at surface level in the Arctic. Residential combustion also exacerbates this problem. As part of the Unlocking Forest Finance project — which aims to encourage green investment — IIASA has worked with local partners in Brazil and Peru to assess the environmental impact of investing in sustainable supply chains. Slow uptake of alternative-fuel vehicles will continue unless refueling and recharging infrastructure improves, a IIASA collaboration with US researchers has shown. Such delay has a marked effect on transport-sector greenhouse gas emissions. Systemic risk in banking can lead to economic collapse. A IIASA study on the Mexican banking system accounted for multiple levels of interconnectedness, showing that the true risk is much higher than thought. In a creative solution for small island states, a IIASA study has shown that a locally grown sugar cane-like grass can be made into a juice and used to grow fungi, which can in turn be used as feed for fish or livestock. Under the recharge.green project, IIASA has developed a decision support system for the Alpine region, aiming to balance renewable energy potentials with environmental protection. Charlie Wilson, associate scientist with IIASA Transitions to New Technologies Program, won prestigious European Research Council (ERC) funding for a project on how social influence — such as social media, or behavioral norms — can influence the diffusion of new low-carbon technology. IIASA researcher Narasimha Rao won an ERC grant for the Decent Living Energy project, which assesses the energy needs and associated greenhouse gas emissions of eradicating poverty. To discuss transport corridors in Eurasia and opportunities for cooperation around infrastructure projects in the region, IIASA held a workshop in 2015 as part of the initiative Challenges and Opportunities of Economic Integration within a wider European and Eurasian Space. IIASA researchers have dramatically improved the accuracy of modeling wildfires in Europe by updating the models to take into account fuel moisture. A new method has been developed by IIASA to identify the original sources of fine particle and nitrogen dioxide air pollution, even if the scales of origin vary widely. IIASA is part of a forest governance project in the Democratic Republic of Congo, which has helped to provide the country with the capacity to run independent monitoring and mapping of its forests. Decentralized, stand-alone photovoltaic systems may play a key role in expanding access to electricity in Kenya, especially in areas with low demand and high grid connection costs, IIASA research has shown. The IIASA Global Biosphere Management Model has been specifically adapted to the Congo Basin, showing that deforestation rates might increase by 50% in the next 15 years, compared to deforestation between 2000–2010. Young South Africans who did not complete high school are more likely to commit a crime and be sent to jail, IIASA research has found. Investment in education should therefore be a key part of the National Crime Prevention Strategy. IIASA Director General and CEO Pavel Kabat was a plenary speaker at the South African Science Forum, an event designed to provide a large-scale public platform for debating the science and society interface in Africa. Three leading institutes in India collaborated with IIASA to improve rural livelihoods in the country using adaptive approaches to land, soil nutrient and water management. Land-cover changes associated with the rapid exodus of the rural population in China were investigated by IIASA and Chinese collaborators, along with rural-urban divisions and the reasons behind cropland abandonment. Development of a risk-reduction road map for India started at the International Society for Integrated Disaster Risk Management conference. Co-organized by IIASA, the event presented a regional framework for earthquake, flood, extreme weather and other disaster risks. Reducing agricultural air pollution must play a key role in any effective intervention strategy, showed a collaboration between IIASA and Indian and Chinese institutes, which investigated harmful pollution, especially in the urban areas of developing countries. IIASA and Japanese collaborators from the Research Institute of Innovative Technology for the Earth have worked on a project — Alternative Pathways to Sustainable Development and Climate Stabilization — to improve the representation of technological change in the integrated assessment models used to inform climate policies. Community participation and strong social networks can aid preparedness to natural disaster such as tsunamis in vulnerable regions, IIASA research conducted in the south of Thailand has shown. In collaboration with the Australian Commonwealth Scientific and Industrial Research Organisation, IIASA been analyzing the impacts of climate change on agriculture, with a focus on food availability in developing countries. Continued high CO2 emissions could significantly effect a third of all calcifying species, such as coral, shellfish, sea urchins, a IIASA study warned.